If you are a fan of News-O-Matic you’ll be happy to know that their current events app publishes daily news stories every single weekday all summer long. With their high-interest topics, this app inspires kids to actually want to read the stories. 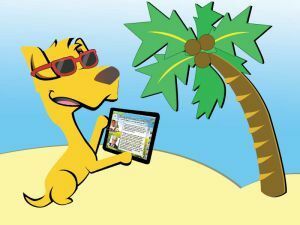 News-O-Matic delivers new content to the hands of student readers each day during the summer so their tablet will always be full of engaging stories. When kids return to school at the end of the summer, they can continue reading News-O-Matic in class without having to readjust their routine. This summer’s news edition will include the latest daily news features on crafts, hot-weather activities, and more ideas to make the most of the season. Join News-O-Matic for a special webinar on how to prevent summer slide on Wednesday, May 27, 2015 4:00 PM – 5:00 PM EDT -> sign up for free here!